Hello, friends! Ashley here from The Littles and Me. Summer is in full swing and what better way to create special memories with your family than through playing together. 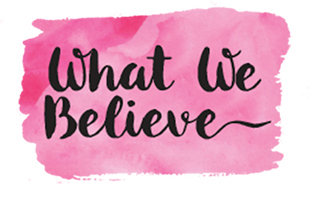 It’s no secret that our family is a little obsessed with imaginative play. It’s hands down my favorite way to connect with my girls and I may or may not go a little overboard with it, but I’ll let you be the judge of that. There’s just something so magical about soaring off to a far away land, taking care of adorable zoo animals, or opening up your very own garden shop. 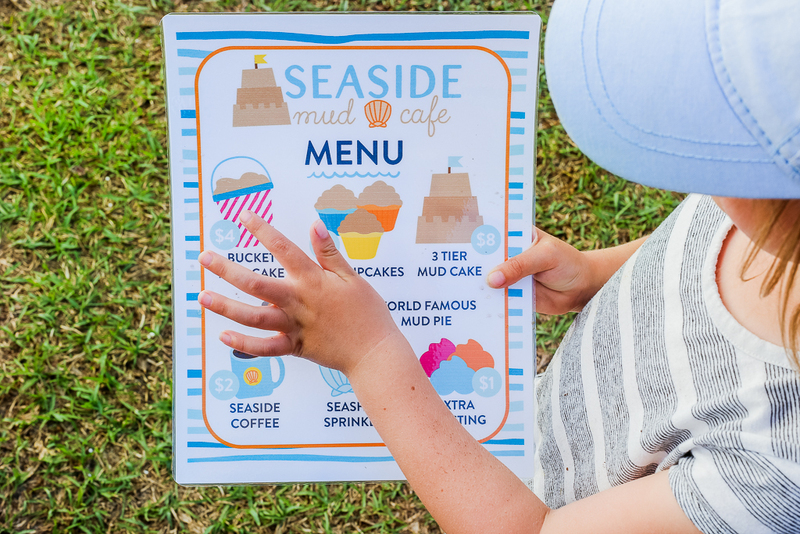 If you’re on the hunt for fun and easy outdoor imaginative play ideas for kids you’re in luck! 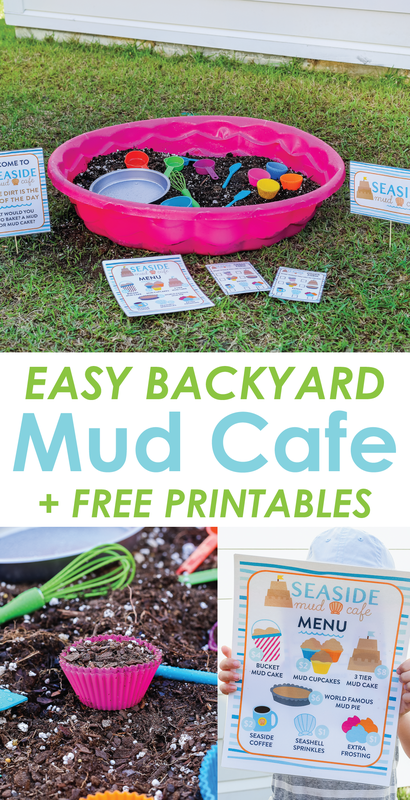 Today I’m so thrilled to share with you how to create your very own Backyard Mud Cafe. It was a huge hit at our house and I know your kids are going to love it too. Ready to get started? 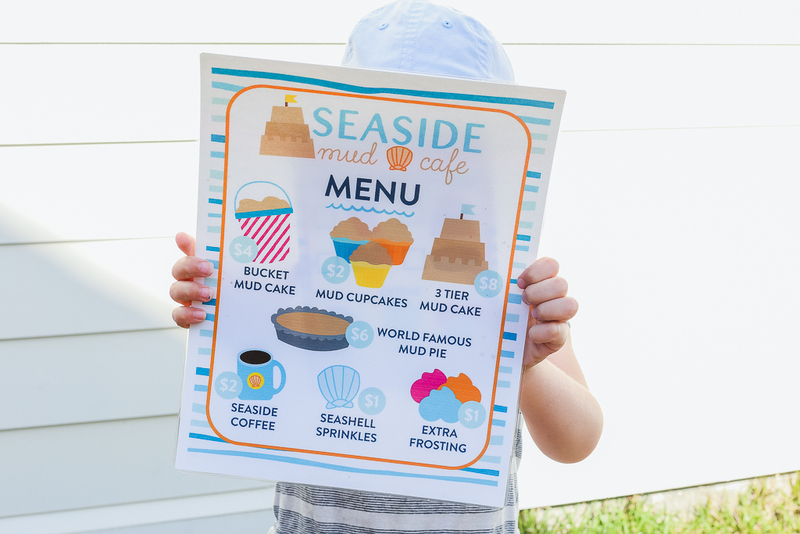 With the Seaside Mud Cafe Printables it’s super easy to set the scene for your backyard mud cafe. Simply download, print, and you’re ready to play. 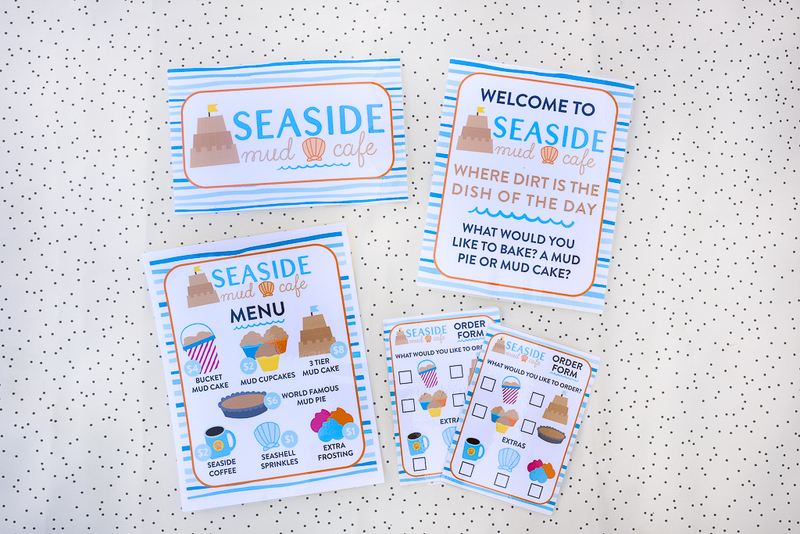 While it’s totally optional to laminate the printables, I highly recommend it so that you can reuse them again and again. 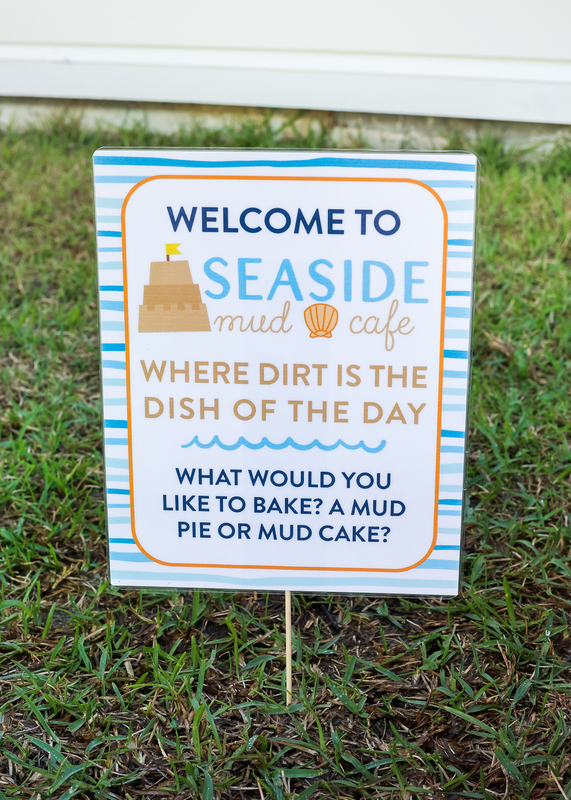 To set up the mud cafe pour dirt into a large bin. 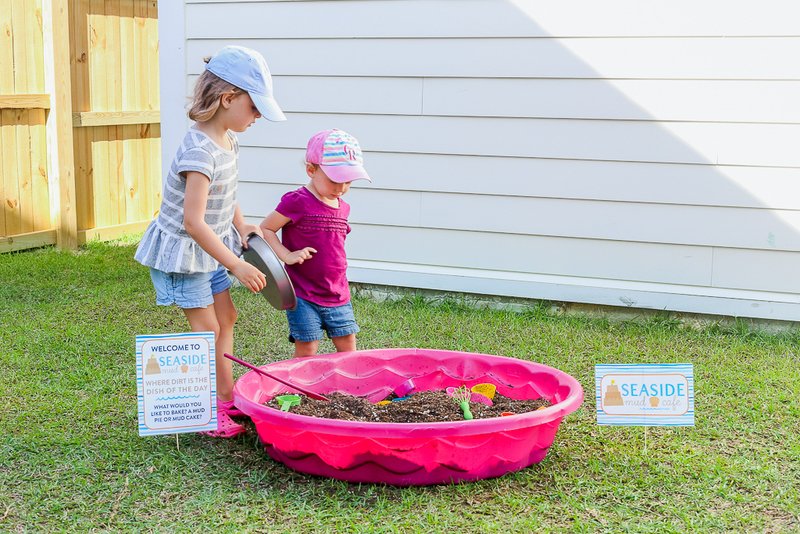 We used our plastic pool and potting soil we already had on hand. 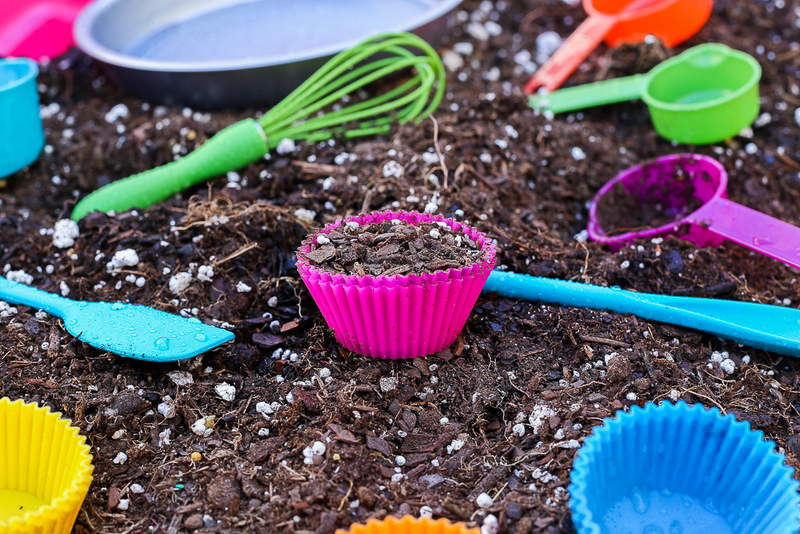 Toss your baking utensils into the bin and you’re ready to play! 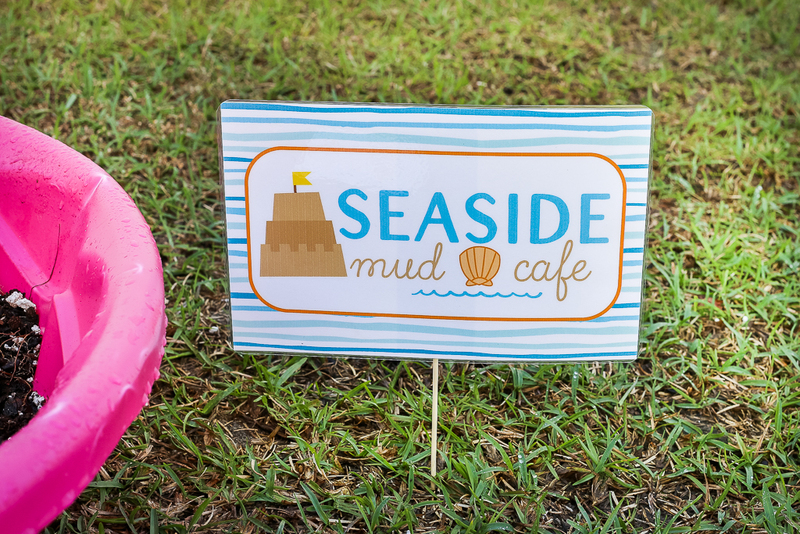 Seaside Mud Cafe is open for business! 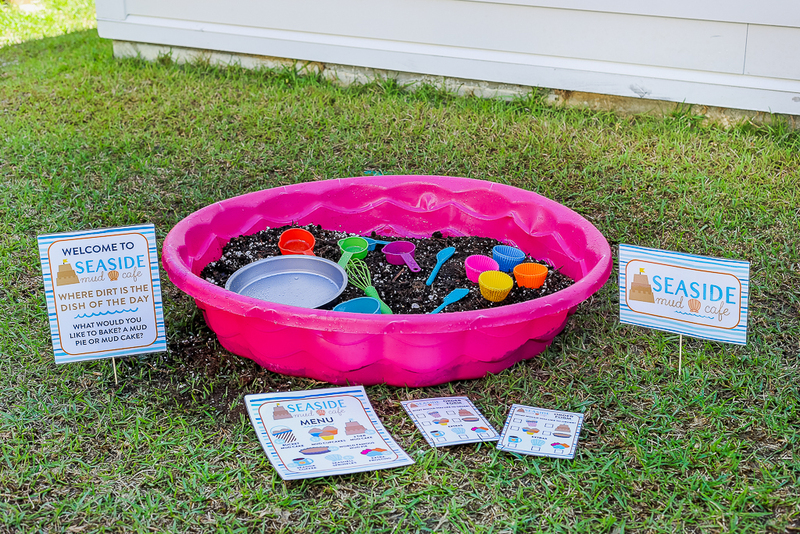 Invite your kids to scoop, dig, pretend, and play. 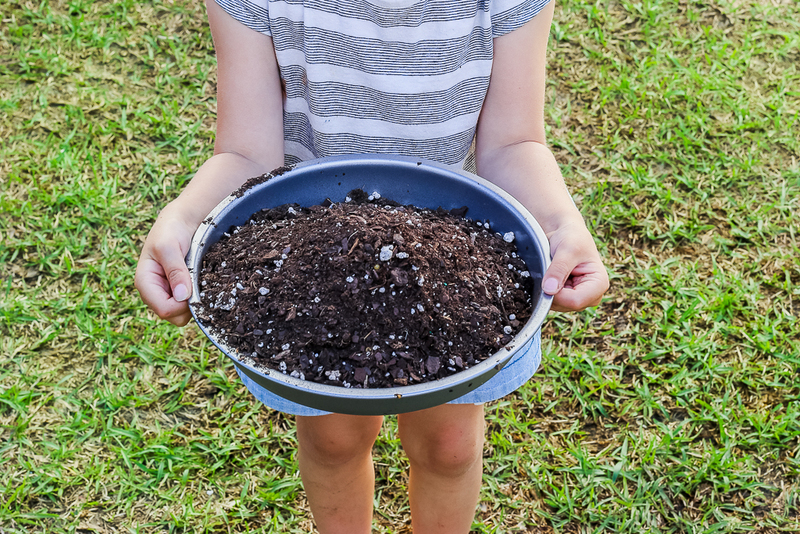 The best part about outdoor imaginative play is that your kids have the freedom to dump, explore, and not worry about spilling or making a big mess inside. Plus, they get lots of fresh air and sunshine which is a winning combination in my book. 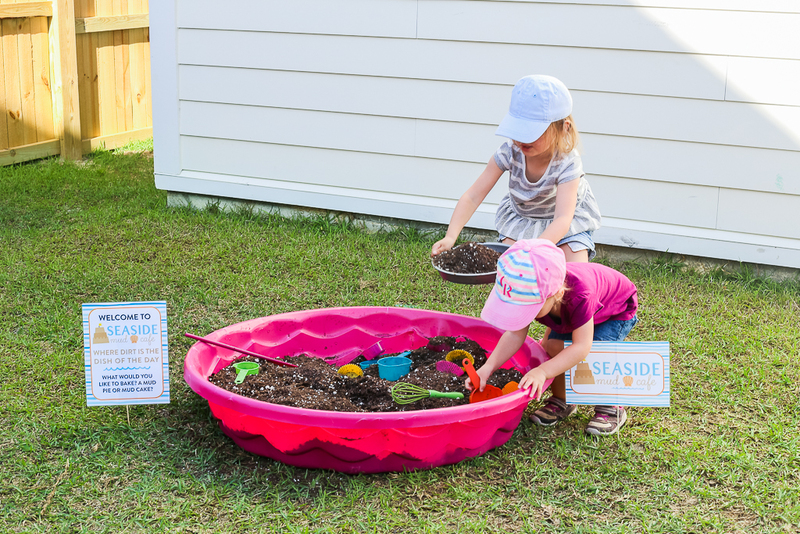 Isn’t outdoor imaginative play so much fun? 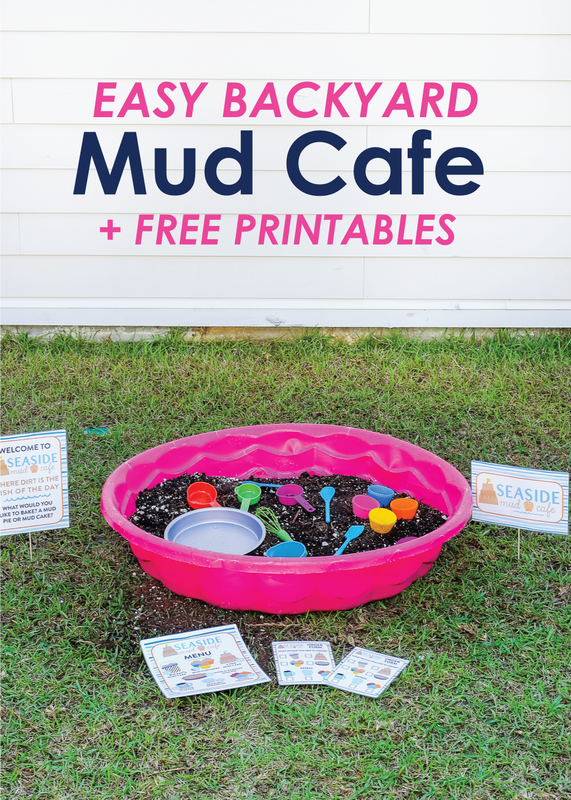 Be sure to download the Seaside Mud Cafe printables so you can easily create your very own backyard mud kitchen this summer. I hope you have a great time pretending and playing with your kids! Pin the image below for later or share it with a friend!